Hello ... Hello ... my old friends ... It's great to see you once again! 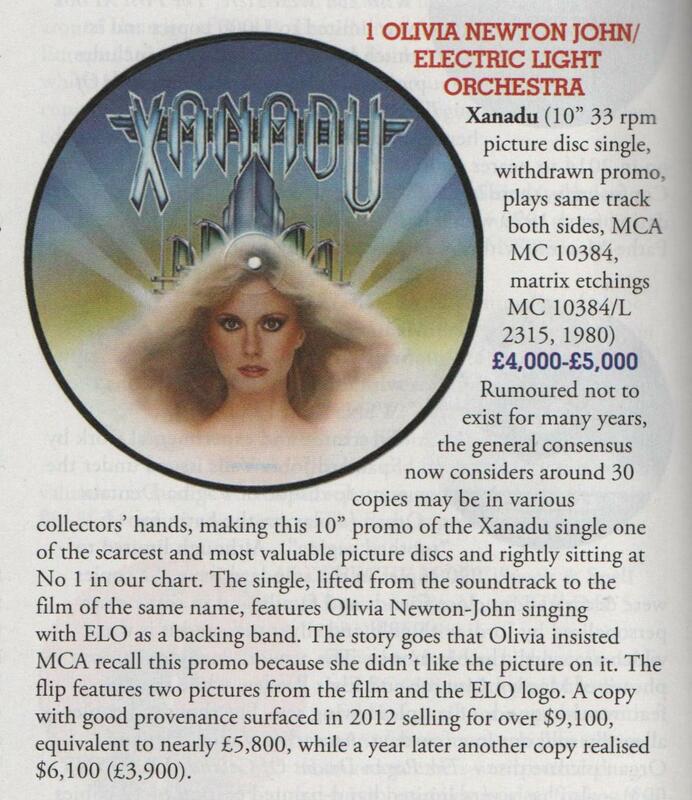 Another one of those ultra-rare 1980 US 10" picture discs of "Xanadu" by ELO/Olivia Newton-John [MCA Records #MC10384] is now for sale over at eBay. The withdrawn 33⅓ RPM promo - believed to from a batch of just 31 copies - has already attracted bids up of over $1,300 with the auction due to end on Sunday 25th October.